Thus rages the battle of the Echthroe to "X out" or un-name all parts of the universe. In this second of Madeleine L'Engle's "science fiction" trilogy Meg Wallace is sent on a quest in order to save her little brother and - ultimately - everything and everyone else as well. L'Engle spent much time researching the science behind what she wrote, making interesting connections between science and philosophy. This book may look like it's written for children, but it holds the interest of any curious adult. While "A Wind in the Door" is nowhere nearly as well-known or iconic as its predecessor, "A Wrinkle in Time," this book holds just as dear a place in my heart. In it, Meg must learn to feel love where she does not wish to feel it, and to recognize the inherent interconnectedness of every living thing in the Universe. It is only in this way that she can save her young brother, Charles Wallace, who is dying because fantastical denizens of his mitochondria, the "farandolae," refuse to understand the importance of the universe beyond themselves, thus allowing their home to wither and be extinguished. This, of course, is L'Engles way of saying that self-centeredness and inability to see how our actions affect others is something that puts the world at terrible risk. It is a worthwhile and, indeed, a vital message for children, packaged in a well-written, captivating story. I also have a special place in my heart for this book as that which introduced me to mitochondria and Lynn Margulis's theory of endosymbiosis, which had only been published seven years previous to the writing of this book and was by no means immediately accepted by the scientific community. While much of the "science" surrounding Charles Wallace's health is pure fantasy, L'Engle was clearly on top of the breakthroughs being made. 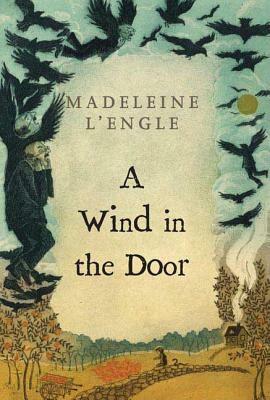 "A Wind in the Door" is a worthy continuation of the Murray family's adventures that easily stands on its own. Highly recommended.